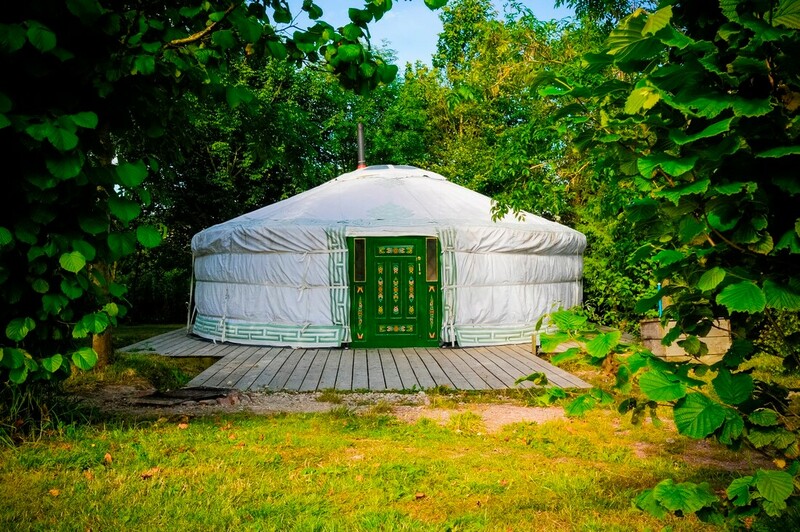 Due to the combination of great meeting space, excellent event support and cosy yurts, The Meon Springs Yurting Experience has been a popular activity for teams for many years. Arrive late afternoon on day 1 and have a barbecue supper. Work in one of our meeting rooms, or outside on Day 2, in the morning. Do a Sporting Activity in the afternoon. Choose a Food Event for the evening. Stay up late and resolve all your problems. Depart on Day 3, - everything sorted. 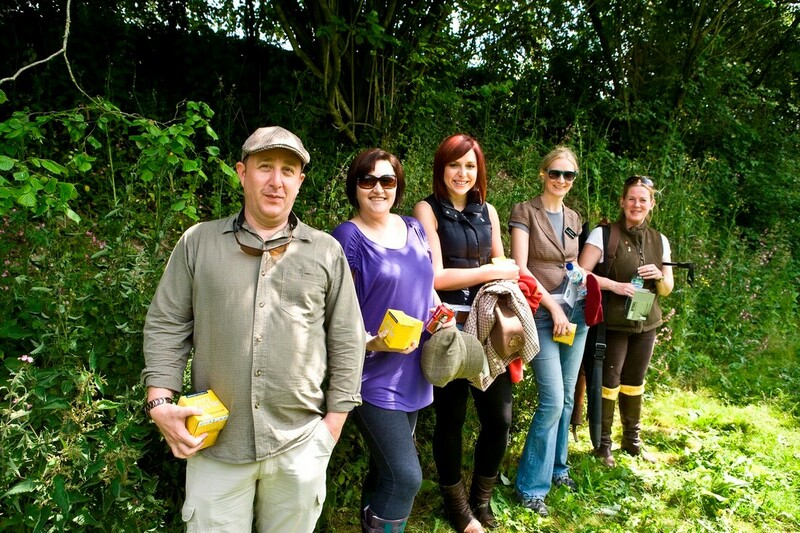 A Yurting Experience can be combined with a Team Building activity or Team Development Workshop. Please drop us an email or go to the Event Design form to let us know what you want to achieve. 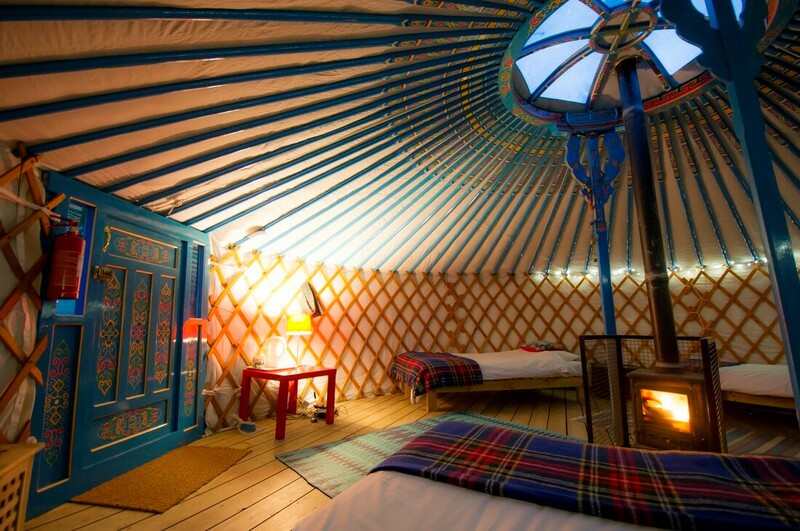 Six Cosy Yurts, sleeping up to 30 in total. 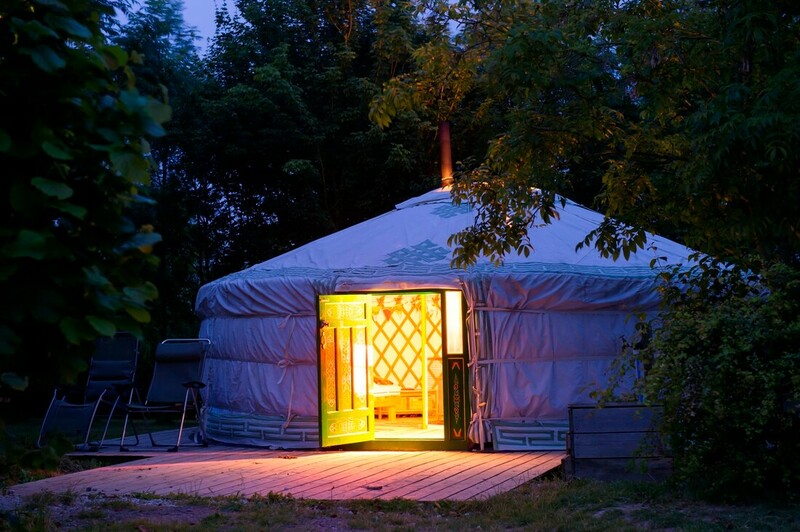 Bell Tents can be added for larger groups. Cooking on open fires or in The Yurtery - a fully equipped kitchen. 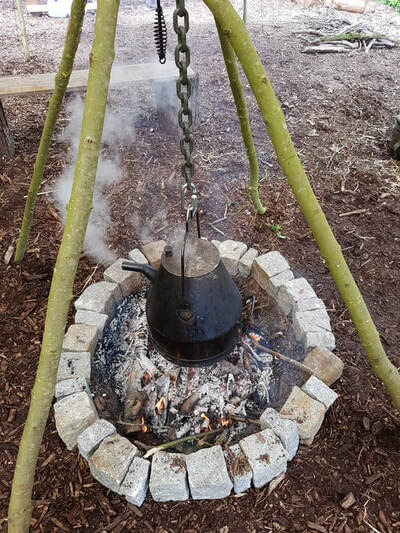 "Being a large institution we were looking to put together a conference that removed us from the corporate city environment and gave our sales team a more back to basics team building experience. From the very early stages of organising the conference and right throughout the delivery, Jamie and his team at Meon Springs were so helpful and were prepared to do everything they could to ensure we had a fantastic and memorable stay. Although the weather was poor and it rained during our shooting, archery and fishing activities, the farm staff were happy to ferry us around the farm on tractors and work as hard as possible to ensure we still enjoyed our outdoor experience even with the weather. 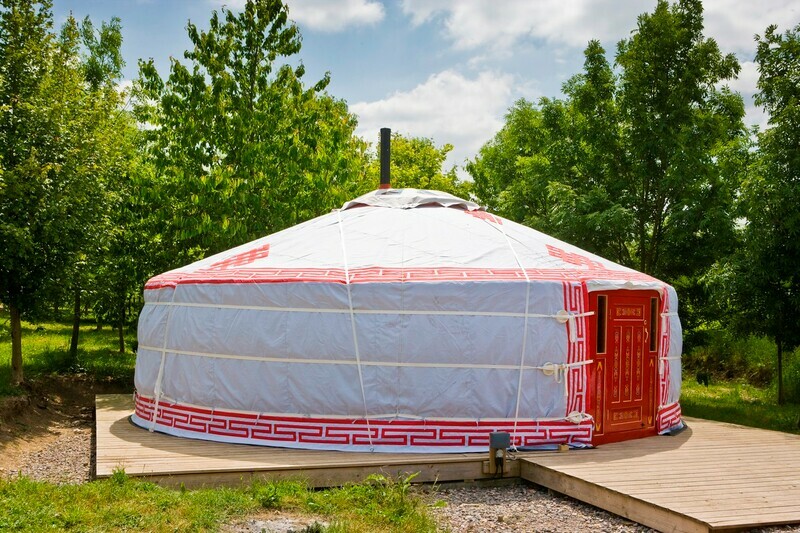 We hired all of the Meon Springs Yurts and the Yurtery for our stay and we were extremely impressed with the furnishing,facilities and the beautiful setting of the farm. We were extremely comfortable, warm with plenty of space for all 31 of us to spread out. Meon Springs have recently converted one of their barns into a fully functioning conference room, We found this to be a fantastic asset, unlike most traditional conference facilities it was light, spacious and airy making it a comfortable environment to deliver training and presentations. 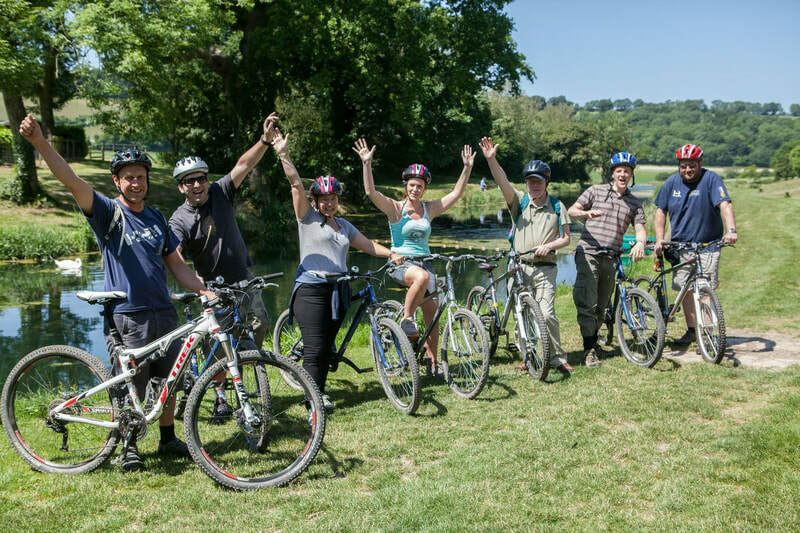 The whole team, even the anti-campers had a fantastic time and we could not recommend Meon Springs enough as an alternative conference facility."